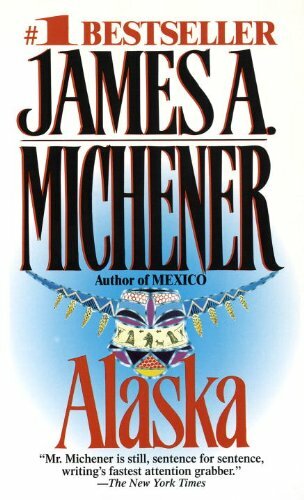 Following the tradition that he has made his own in blockbuster bestsellers as Hawaii, Centennial, Chesapeake and Texas James A. Michener now gives us Alaska: the story of America's last great frontier land. We hear about the first humans to settle in this land of vast beauty and danger...about the explorers and whalers who "discovered" Alaska in the 18th century...about the explosive gold rush of the 1890s. And as we follow the fortunes of two families drawn to the territory seeking gold, the tumultuous events of the 20th century unfold. Past and present, history and fiction, come together in this extraordinary epic story of sacrifice and courage, betrayal and devotion, challenge and exhilaration. Peter Graves starred in the TV series "Mission: Impossible." His film work includes Stalag 17 and Airplane! He is currently the host-narrator of the PBS series "Discover: The World of Science"
About James A. Michener (Author) : James A. Michener is a published author of children's books and young adult books. 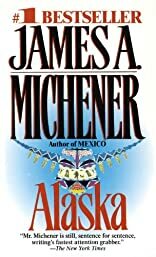 Some of the published credits of James A. Michener include Space, Texas: A Novel, Alaska: A Novel, and Mexico.